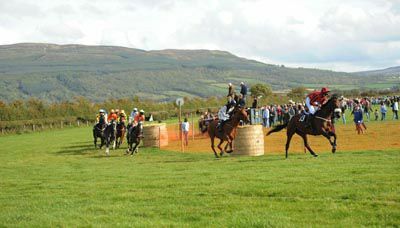 By Gary CarsonThe County Derry venue of Limavady represents quite the trip for a lot of the point-to-point community and trainers and jockeys are set for two visits to the north coast venue this year. 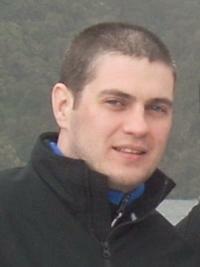 Route Hunt are set to hold both spring and autumn fixtures in 2011 in a bid to raise revenue for fence repairs. The hunt have given up their spring fixture for the past two seasons, but necessary re-birching and fence enhancements have led to a doubling up. Long standing Chairman Phillip White has been Master Of The Hunt for 21 years and has been an ever-present at the point-to-point fixture for decades. He revealed that the original move to the autumn season was due to the better weather at that time of year and therefore better conditions for setting up the point-to-point field at Carrowmena. We hope to have two meetings this year. We had been just racing in the autumn as it was easier to run, said White of the decision. It's much easier as we are coming from a dry period whereas in the spring sometimes we can't get into the fields as they are so wet. We also need the birch replaced in our fences so we will be holding one to fund the birch and one for the hunt. Birch is expensive and that's why we thought about going twice. We also have the expense of enlarging two of the fences to 30 foot. Initially you had to have the first fence at 30 foot and the rest at 24 but the rules change and they all have to be 30 foot now. That's quite expensive as well. © Healy Racing PhotosThe Route Hunt can trace their history back to the early 1800s when it was founded by a pack owned by the Earl Of Antrim. The hunt covers a large area of North Antrim and Derry and hunts over banks, ditches, hedges and walls. While hunt fences have been constructed in some areas to deal with wire. White has seen many changes in his time with the hunt and admits they are facing fresh challenges in today's society. I've been the master for 21 years and I'm lucky to have a very active committee. We are fortunate enough to have our own kennels which are under the ownership of the club. Hunting has changed in recent years. You can't just tear along as if you own the land anymore. Recent years have seen hunts come under pressure from animal rights bodies and Stag hunting was outlawed as a result of proposals by the Green Party in the Republic Of Ireland. Hunts continue to thrive around the country, however, and are an integral part of Irish country life. The opposition to hunts is a national problem, said White. Many of the north's regular point-to-point goers will remember White himself taking to the saddle a few years ago and he fondly remembers his time 'between the flags'. I used to do it for fun and I'm only disappointed that I discovered it ten years too late. I had a little mare called Tilly Lamp and she's famous for finishing fourth six times in a row. Racing takes place at Limavady on Saturday April 9th this year while the autumn fixture has yet to be confirmed. The point-to-point has been based at Carrowmena for many years now and the course itself is a big level galloping track of just over seven furlongs. Notable winners to have emerged from Limavaday include the likes of former Champion Hunter Joe Blake, Glynn Dingle and Joint Authority.